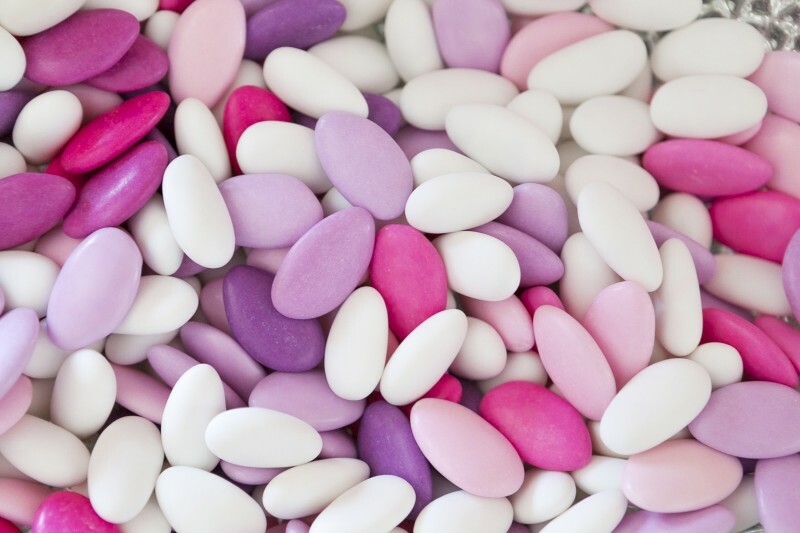 When it comes to traditional wedding favours, there is nothing better than sugar coated almonds. They’re tasty and versatile but what is the story behind sugar coated almonds, and why are they used for wedding favours? Sugared almonds, as you can figure out from the name, are plain almonds coated in a sugar candy. Also known as Jordan almonds, they are handed out to guests at Italian weddings, and are typically white, pale pink, or pale blue, and are covered in matching tulle tied with a ribbon. They originated in an Italian town called Sulmona. Sugar coated almonds are used as wedding favours for very specific reasons. Almonds come with a bittersweet taste, which is thought to signify life’s up and downs. The sugar coating highlights the wish that the couple’s married life will be sweeter rather than bitter. In Italy, five sugar coated almonds are typically handed out to guests representing health, wealth, cheerfulness, fertility, and long life. 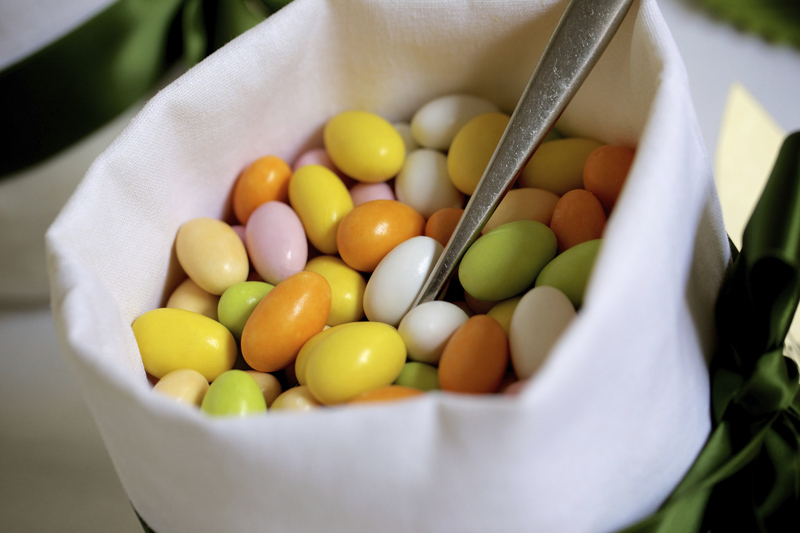 Sugared almonds are also traditional elsewhere in Europe, and are especially typical as wedding favours in Greece. In Greece it is thought that if an unmarried woman places sugar coated almonds under her pillow as she goes to sleep, she will dream about her future husband. At Greek weddings almonds are given in odd numbers, although not necessarily five. Odd numbers are used because they are indivisible, representing the unity of the bride and groom. Making traditional sugar coated almond favours couldn’t be simpler. You can bulk purchase the sugared almonds and then cut out circles of coloured tulle, add five almonds in the centre and gather the tulle up around them, closing it with a ribbon. If you are having brightly coloured tulle you might just want to get plain white sugar coated almonds. In the past, sugar coated almonds were only available in pastel colours, but nowadays it is possible to order almonds in almost any colour to match with your wedding theme. Why not embrace the current trend for clear Perspex boxes, and add brightly coloured almonds that go with your wedding colour scheme and can be seen through the box. For a slightly more traditional favour, place five sugar coated almonds in tiny square cardboard box printed with your special day’s details and tied with a coloured bow. If you have another idea for your favours but still want to have symbolic almonds at your wedding, you can just add some around the reception venue and on the wedding breakfast tables. Utilise large martini glasses, glass bowls, or oversized jars to contain the almonds and place a sign or note with them asking guests to take five to signify health, wealth, happiness, fertility and longevity.